Freedom of choice. Americans believe so strongly in it that it’s written into our Constitution. Several tech-savvy companies have taken that freedom to an exciting new extreme, allowing everything from car rims, sneakers and guitars to be easily customized to a customer’s exact online specifications. Part of the allure is obvious – you have a unique, one-of-a-kind creation that’s just begging to be bragged about on social media. But, perhaps the real appeal is that you can tweak and customize something in order to get exactly what you want – without compromise or any specialized technical or design skills. All you need is a strong Internet connection and an opinion. With 15 points of customization (from button colors to collar types), Original Stitch offers over 5 billion potential design combinations for button-down shirts. Original Stitch offers an interesting twist on the custom-made trend by taking on the classic dress shirt. For those of us that want a traditional button-down, but are bored to death of the basic off-the-rack Oxford Blue, Original Stitch allows its members to create a unique shirt that’s also customized to fit them perfectly. The online service’s level of customization is impressive – there are fifteen different design elements that can be fine-tuned to your heart’s desire. There are simple staples like a shirt’s basic fabric and button color. But the way to a truly unique dress shirt comes from dictating things like your shirt’s collar style, a personalized monogram, and unique accent fabrics that peek through a shirt’s inner cuff and “placket” (the material under a shirt’s buttons). Original Stitch also makes sure that your shirt fits you like a glove—without the hassle of going to a tailor to be sized up. If you happen know your full shirt sizing, just type it in. If you don’t, you can make use of their “Auto Size Me” feature that takes your height, weight and fit preference and figures out your exact sizing against a massive database of previous customers. If they don’t get your fit right the first time, it’s fine. 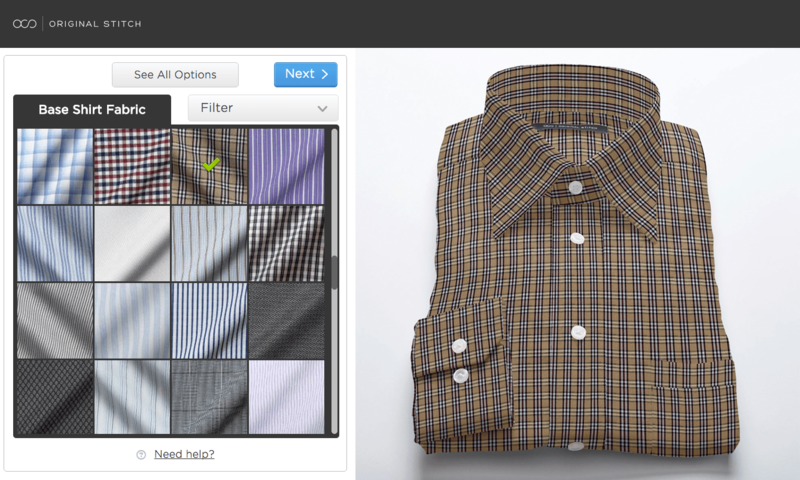 Original Stitch offers a free remake policy and will work with you to make a new shirt that fits more to your liking. You don’t even have to send the original shirt back. 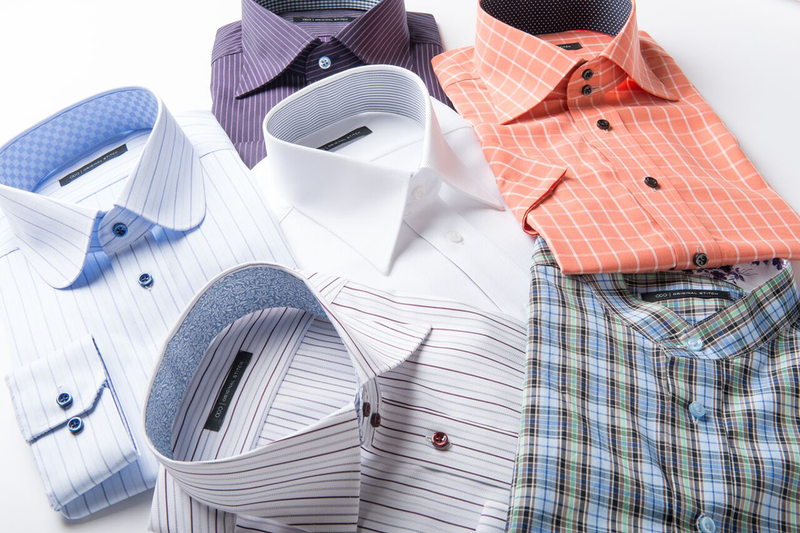 Over 300 high-quality fabrics let guys design any kind of dress shirt they can dream up. The idea of custom-built and made-to-order it is a quickly growing trend, especially with today’s Instagram culture encouraging everyone to show off their own personal style. Original Stitch fulfills that need with shirts that are appropriate for everything from boardroom meetings to backyard BBQs. Regular retailers are starting to take notice, which means nothing but good news–and lots of unique clothing options—for all of us.